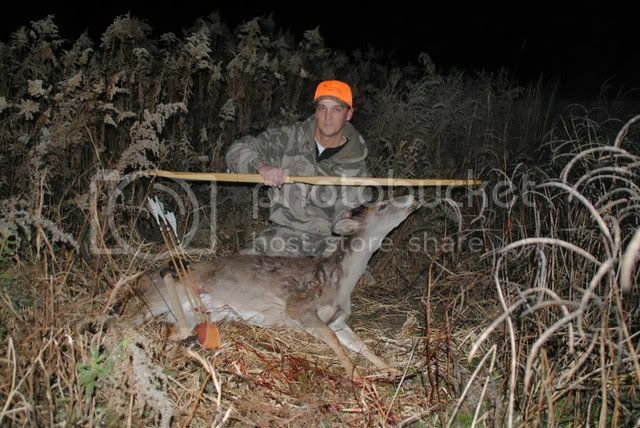 I shot this doe at 15 yards with my BBH stick. she was quartered away and I hit her a little further back than I wanted, but I knew it would do the job. I waited a couple hours to take up the track and found the nock, the broadhead with barely a 1/2" of shaft and then a few yards later I found the whole shaft. I've had a ton of fun hunting with this rig. This makes deer number 3 so far. I hope I can knock down a couple, three more before the season ends. Way to go with that selfbow! Great Deer, good looking bow, congrats! Awesome! Congrats good looking rig! Thanks guys. It means a lot.